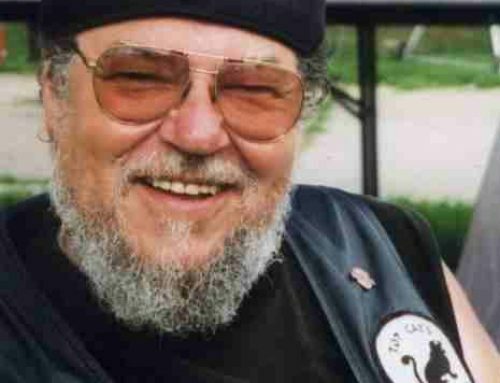 The TOP CATS organization was founded in 1995 by Mr. Carl “Virgo” Bender (1941-2001) of Barrington, Illinois. A business owner and motorcycle enthusiast himself, Carl’s goal was to combine business and pleasure, and seek out other individuals with an interest in doing the same. Membership was limited to business owners and individuals who were executives in their careers. TOP CATS was the name Virgo established, since members had to be the “Top Cats” in their work life to be a Regular member. In May 1995, the first group meeting was a picnic in Virgo’s backyard. The first TOP CATS newsletter, “The American Dream in Motion” was published and subsequently renamed “ROAR” in February 1996. Monthly meetings began in June 1995, at the old Formerly Farman’s restaurant in Lake Zurich. The first group ride, to Kettle Moraine State Park, was in August 1995 consisting of 6 bikes. In September 1995, officers and directors were elected, membership categories were established and, upon State approval of our By Laws, the TOP CATS – ILLINOIS became an organization of business owners and motorcycle enthusiasts. Today, TOP CATS – ILLINOIS is a not-for-profit organization of motorcycle enthusiasts who own a business or are employed in a professional, executive or management position with authority over a division, department or other entity. Our multi – talented membership base combines to provide safety instruction, social events, charitable activities, awards programs, riding activities, and Club products, all with the goal of providing exciting, rewarding, safe and enjoyable activities for each of our members.